Drowsy Driving the Same as Drunk Driving? Not getting enough sleep? Well maybe it’s about time you should because a recent study from AAA says that getting less than seven hours of sleep a day is just as risky as drunk driving! Read the article below by Sleep Savvy Magazine all about AAA’s study. 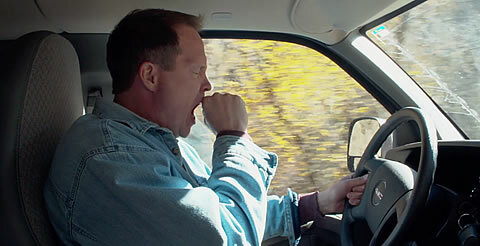 A study from AAA finds sleeping less than seven hours a day doubles the dangers of crashing. Drivers who miss between one to two hours of the recommended seven hours of sleep in a 24-hour period and are drowsing driving nearly double their risk of a crash, according to research from the AAA Foundation for Traffic Safety. The Centers for Disease Control and Prevention says 35% of U.S. drivers sleep less than the recommended seven hours daily. And with drowsy driving involved in more than one in five fatal crashes on U.S. roadways each year, AAA warns drivers getting less than seven hours of sleep may have deadly consequences. The AAA Foundation for Traffic Safety’s report, “Acute Sleep Deprivation and Risk of Motor Vehicle Crash Involvement,” released in December 2016, reveals that drivers missing two to three hours of sleep in a 24-hour period more than quadrupled their risk of a crash, compared with drivers getting the recommended seven hours of sleep. This is the same crash risk the National Highway Traffic Safety Administration associates with driving over the legal limit for alcohol. Is it time for you to get a better night’s sleep? We have the largest and best selection of mattresses in Michigan! Plus, you can sleep better TONIGHT with same day delivery! Let our bedding experts help find the perfect mattress for you now! *Gardner-White Furniture does not own this article. This article is taken from Sleepsavvymagazine.com. 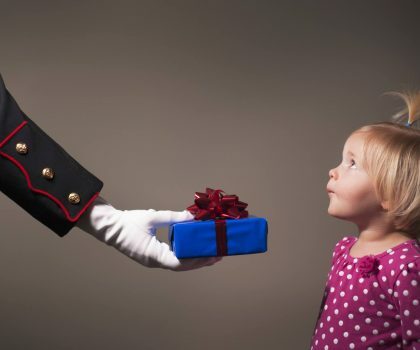 Toys for Tots Drop-Off at Gardner-White!